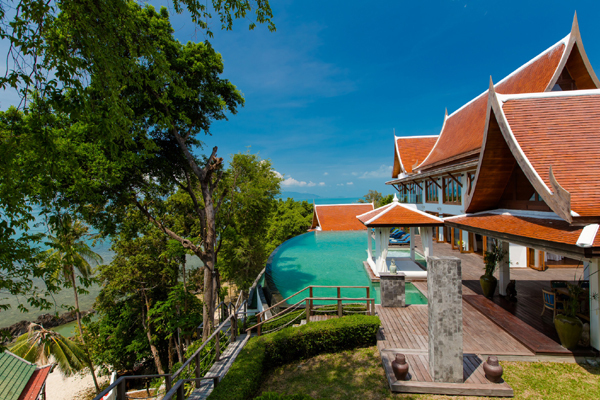 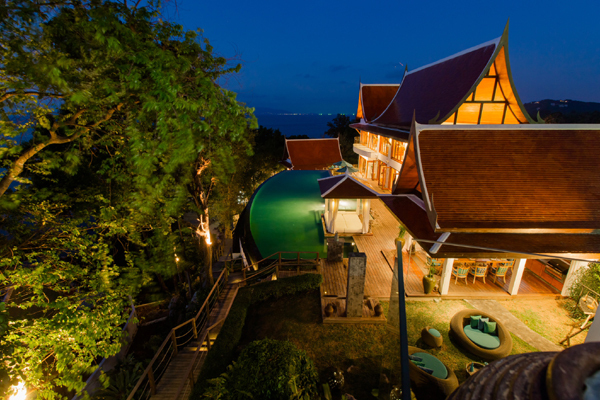 The villa is located in the north of Koh Samui. 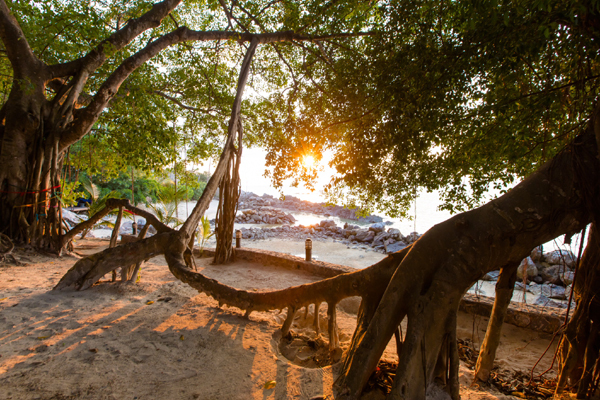 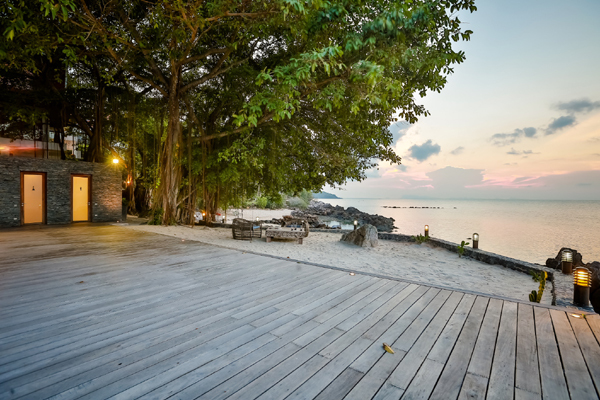 You have a beautiful beach called Maenam Beach, which has warm, see-through water with white sand. 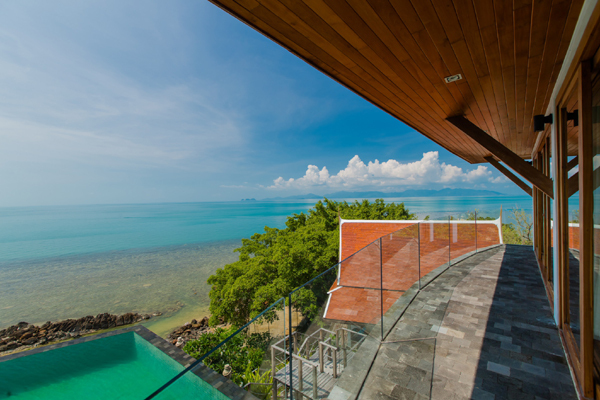 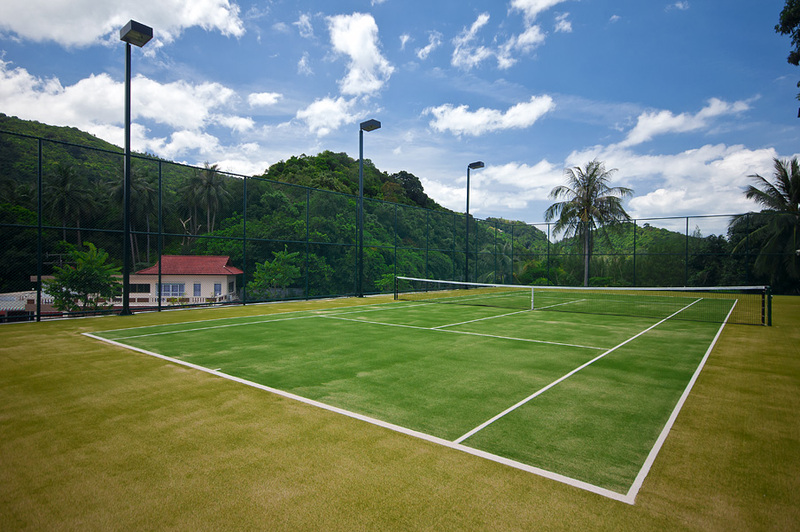 Not far is the Santiburi Samui Country Golf Club but back at the villa there are more things to do. 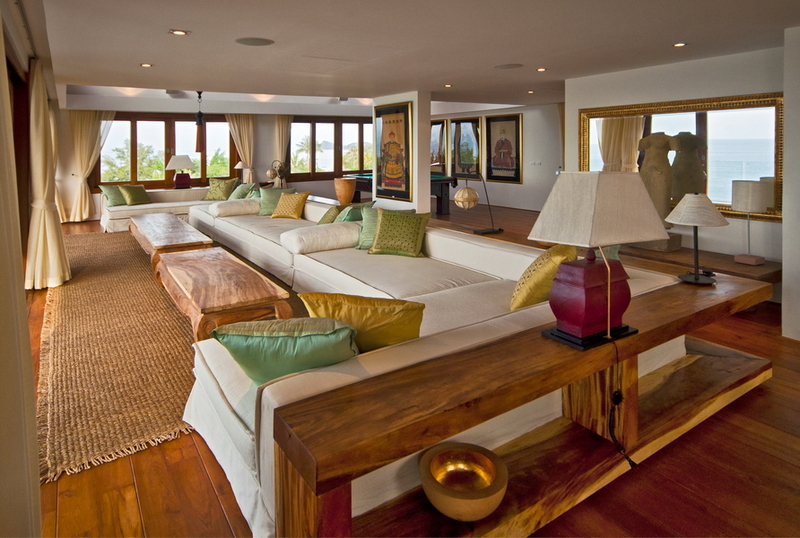 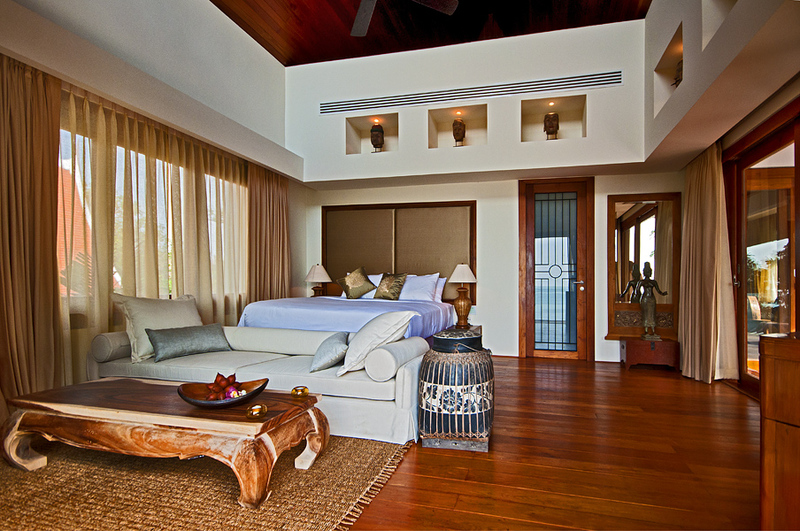 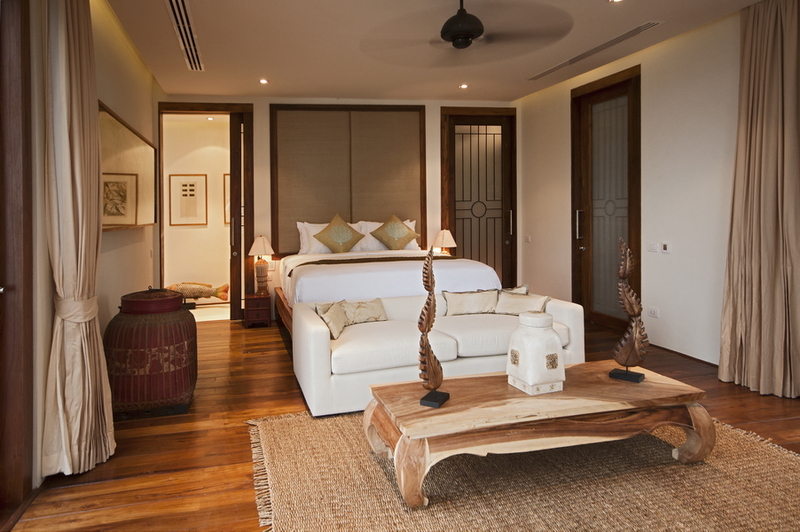 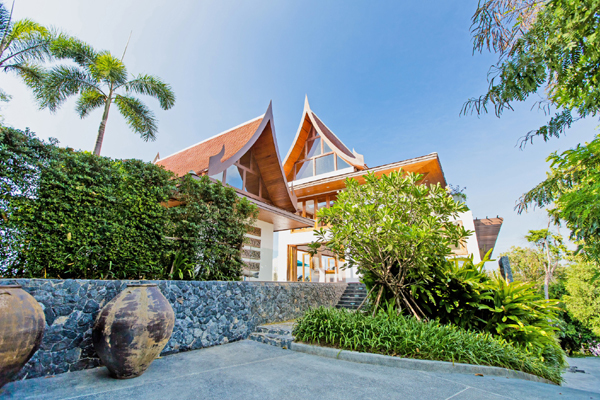 The property consists of 4 villas: 1 Clubhouse, 1 master villa and 2 smaller villas. 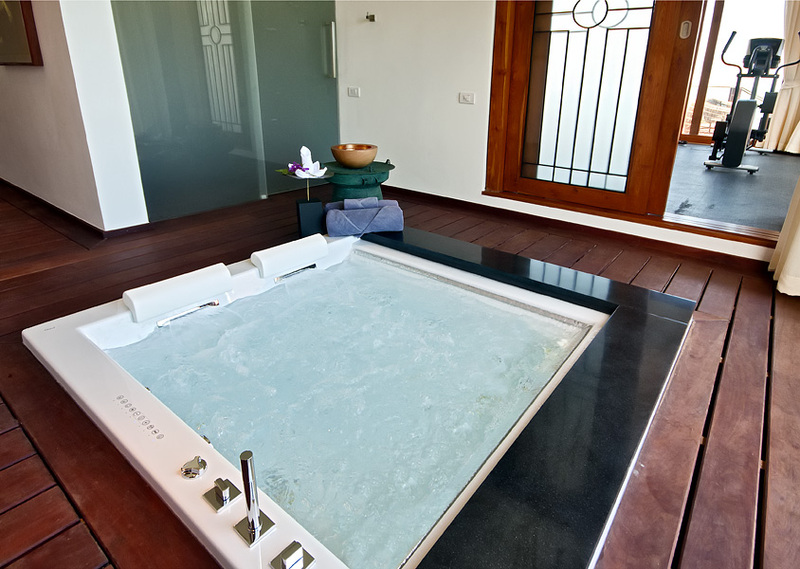 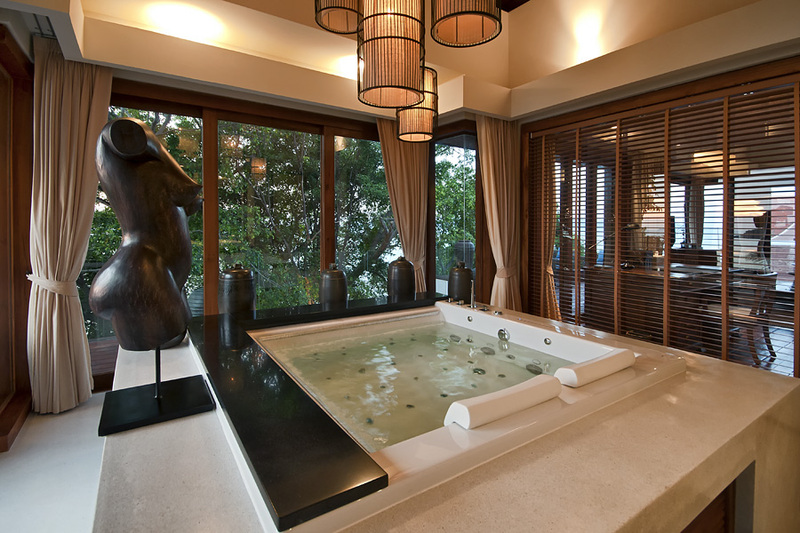 This is perfect if you want to have some privacy after a long day in Koh Samui. 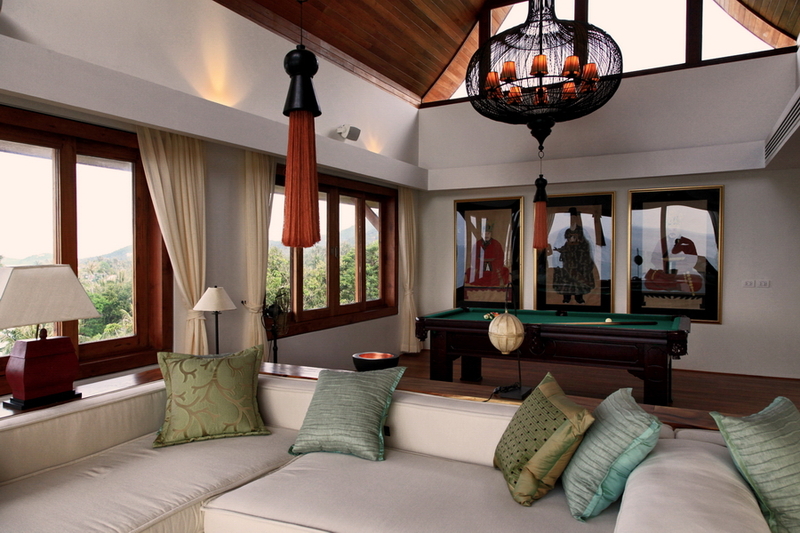 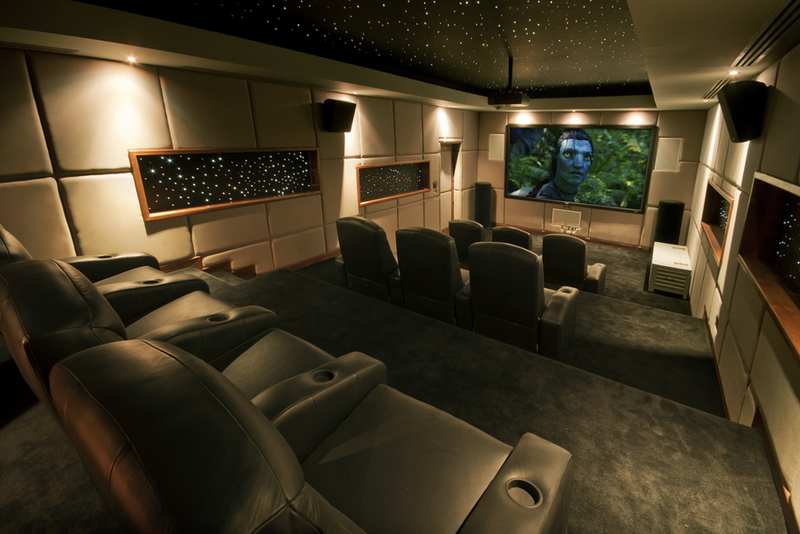 Furthermore, this villa has everything to offer. 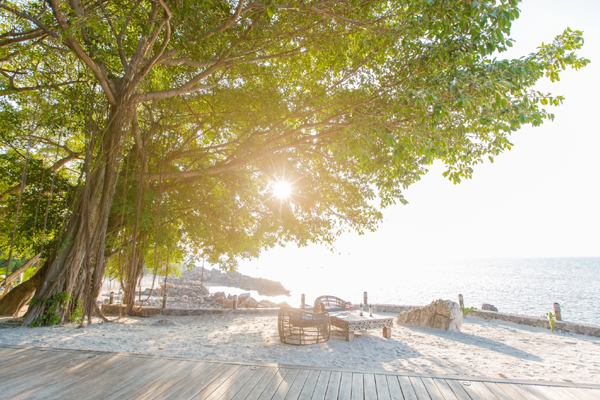 From an own fitness and spa area to a secluded and semi-private cove/beach. 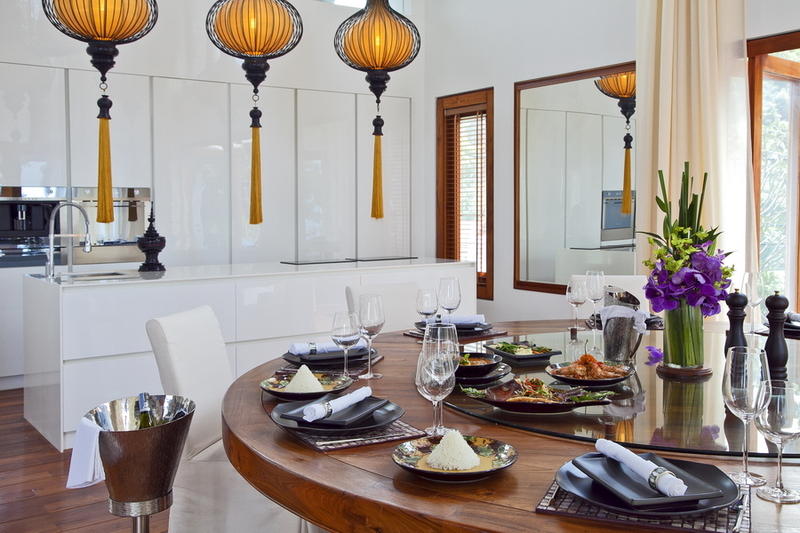 This villa is therefore perfect for hosting a wedding or for a getaway with a group of couples. 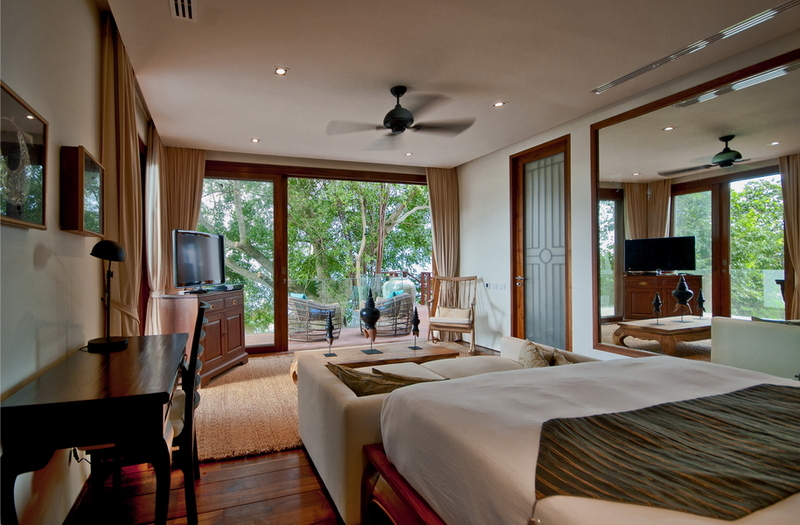 Every bedroom is provided with all the necessities you will find in a hotel. 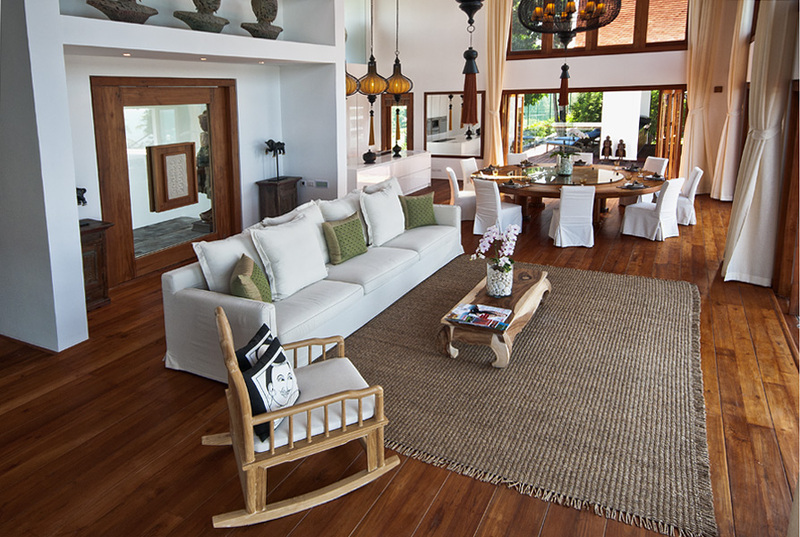 The villa has a traditional but luxurious decor when you step in the door. 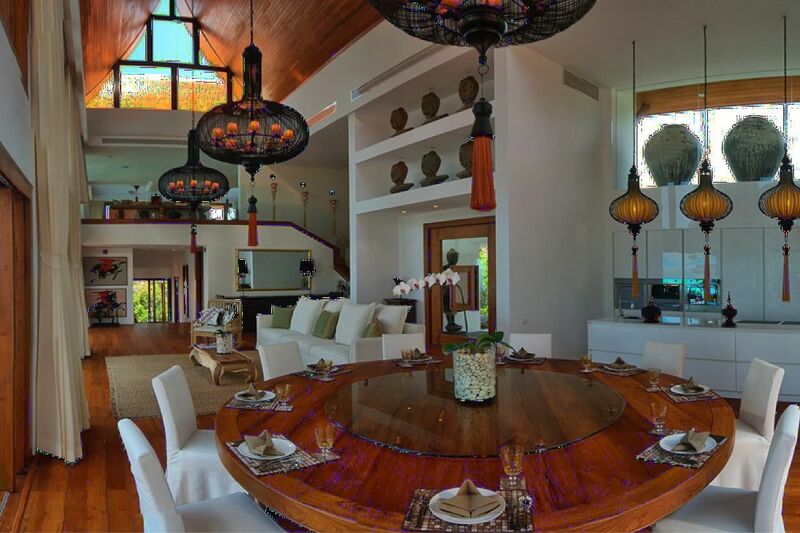 The high ceiling and the wooden interior together with the white tints makes this villa an absolute gem.